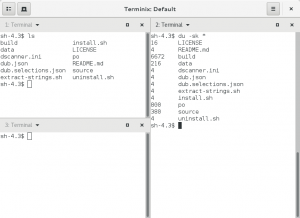 However, terminix is written in D, and the GNOME sdk does not include D support. So, the challenge here is to build a compiler and runtime for this language, and any other required language-specific utilities. The DMD D compiler is written in D (naturally), so some bootstrapping was required. xdg-app comes with low-level build support in the form of various xdg-app build commands. 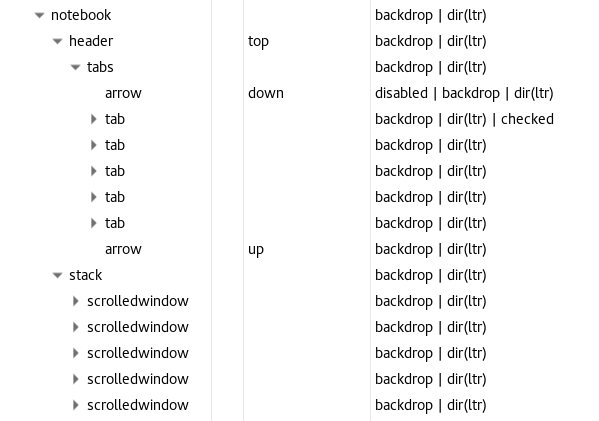 But you really want to use the newer xdg-app-builder tool. It is really nice. xdg-app-builder downloads and builds the application and all its dependencies, according to a JSON manifest. Thats par for the course for modern build tools, of course. But xdg-app-builder also has smart caching: It keeps git checkouts of all sources (if they are in git), and only rebuilds them when they change. It also keeps the results of each modules’ build in an ostree repository, so reusing a previous build is really fast. All the caches are kept in .xdg-app-builder/ in the directory where you run the build. If you have many dependencies, this hidden directory can grow large, so you might want to keep an eye on it and clean it out every now and then (remember, it is just a cache). You can take a look at the JSON file I came up with. 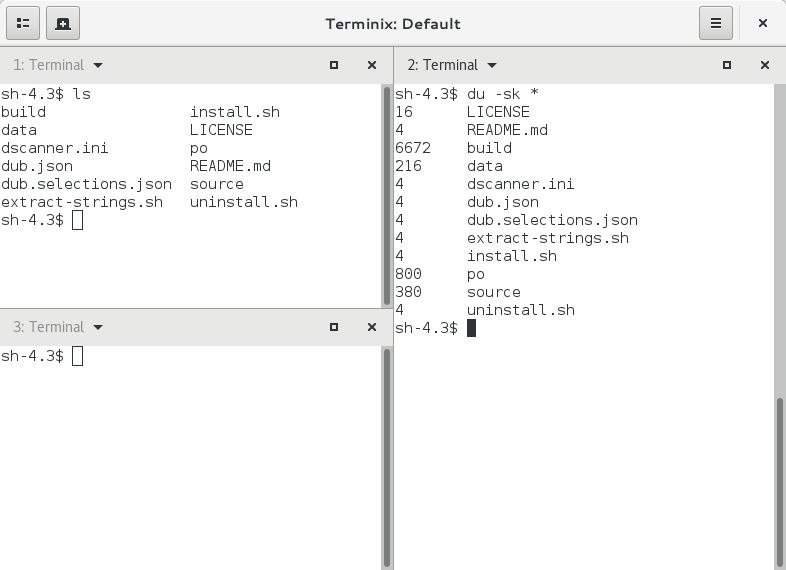 Similar to the GNOME Continuous build system, xdg-app-builder assumes that each module in your JSON supports the ‘build api’ which consists of configure & make & make install. The world is of course more diverse than that, and rolling your own build system is irresistable for some. I guess you could just as well have the Makefile as yet another source; this approach is following the traditional role of configure scripts to produce Makefiles. As I mentioned already, the first step in my build was to build a D compiler written in D. Thankfully, the build script of the dmd compiler is prepared for handling this kind of bootstrapping. It does so by downloading a pre-built D compiler that is used to build the sources. Downloading things during the build is not great for trusted and repeatable builds. And xdg-app’s build support is set up to produce such builds by running the build in a controlled, sandboxed environment, which doesn’t have network access. After navigating around other hurdles, I eventually succeeded in having a build of my entire JSON recipe run through the end. Yay! But I quickly discovered that the build directory was quite heavy. It came to over 200M, a bit much for a terminal. xdg-app-builder creates the final build by combining the build results from all the modules in the JSON recipe. That means my terminix build included a D compiler, static and shared libraries for the D runtime, build utilties, etc. To fix this, I added a couple of cleanup commands to the JSON. These are run after all the modules have been built, and can remove things that are no longer needed. Note that the paths start with /app, which is the prefix that xdg-app apps are put in (to avoid interference with /usr). After these cleanups, my build weighed less than a megabyte, which is more acceptable.